Posted February 25th, 2015 by Nancy Williams & filed under Featured Shops. 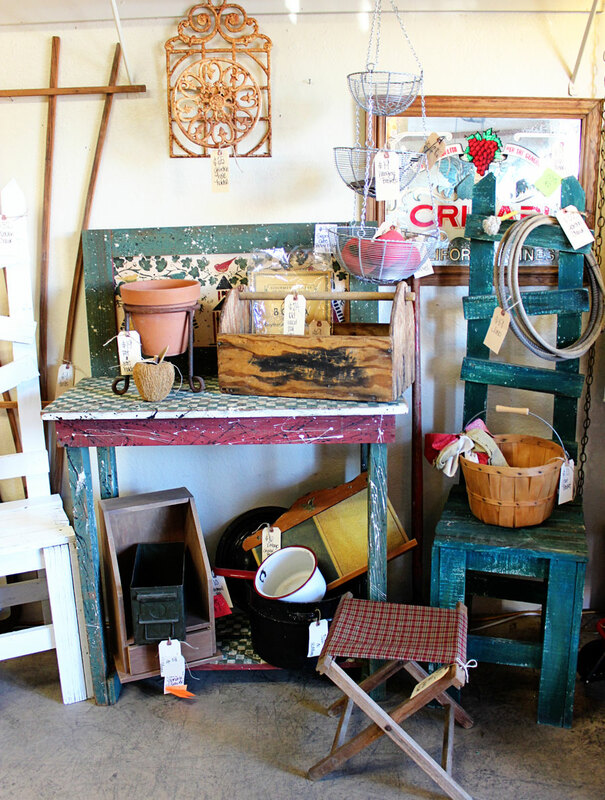 Located on Cave Creek Road in Phoenix, south of where Thunderbird and Cactus Roads converge, there is a unique group of shops carrying a wide variety of antiques, vintage, home decor and repurposed items at affordable prices. When Publisher and Art Director Lolly Konecky visited the shops recently to take the pictures shown on the cover and in the article, it was a beautiful day. The center’s inviting ambiance was enhanced by open doors welcoming the many shoppers who were out and about taking advantage of the lovely late-winter Phoenix weather. 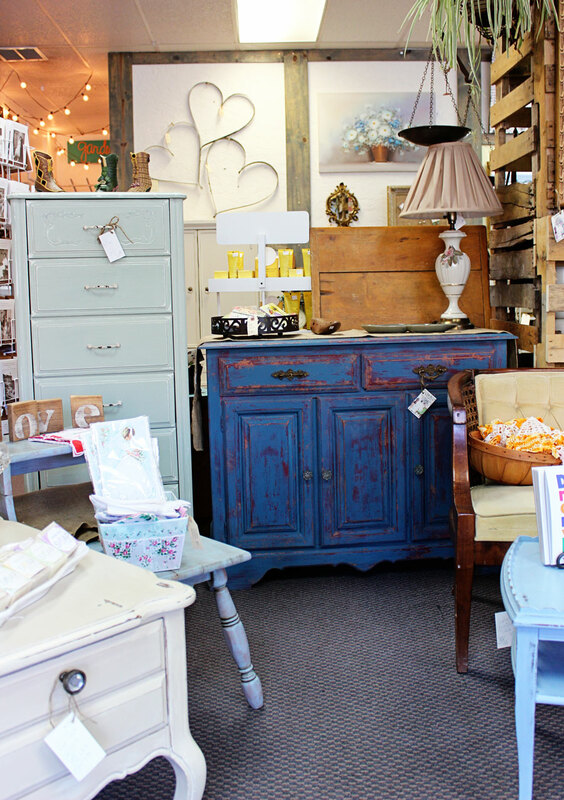 The Shops on Cave Creek Road is a wonderful destination. 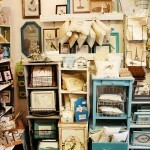 Having several businesses in one location sharing a large parking lot makes shopping easy and fun. Head over to 11649 N. Cave Creek Road and learn more about the latest chalk paint techniques at Audrey’s; browse through AZ Man Cave’s “all things men” and more offerings; spend an afternoon of vintage inspiration or bargain hunting at Everything Goes; find French-inspired prints at Sweet Repeats Boutique; or enjoy Tattered Nest’s lovely Vintage Marketplace displays. 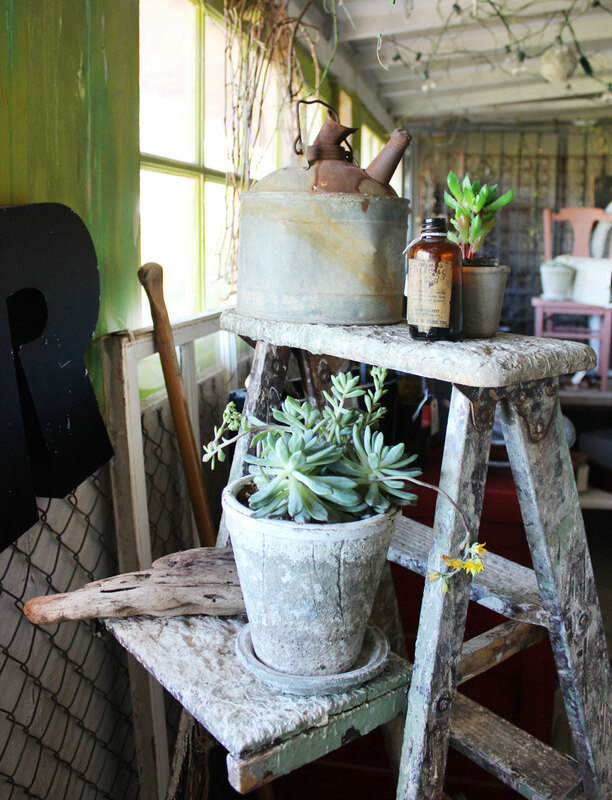 A fun and happy place to shop, Audrey’s is where you’ll find reasonably priced recycled and upcycled vintage and antique items, re-purposed furniture, boutique items, jewelry and clothing, as well as plants and things for your garden. 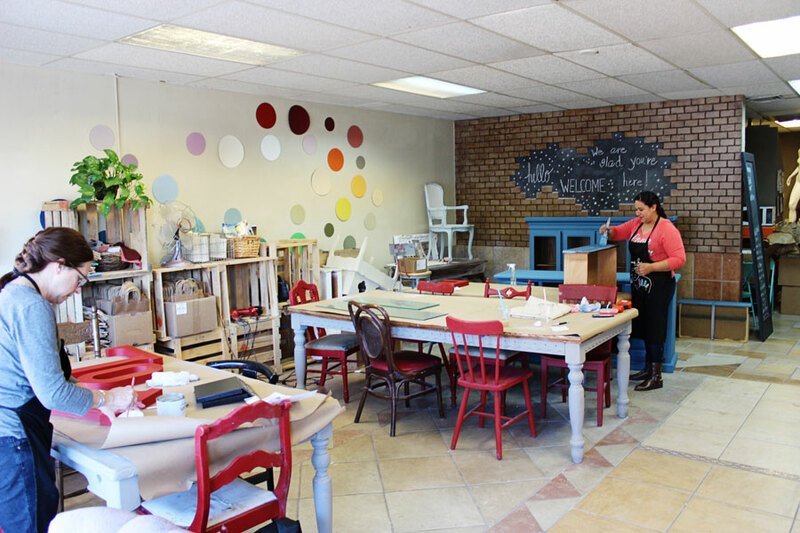 The store carries Chalk Paint® by Annie Sloan—and offers workshops and classes—Artisan Enhancements Faux Finishing products, Efex Moldings and Bella Notte Linens. Along with Local in-store vendors. 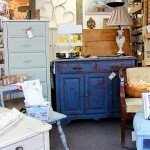 Audrey’s has partnered with Restylesource. 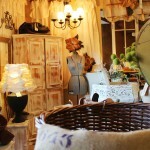 To learn more or shop online, go to www.audreyshopaz.com. 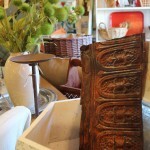 Like Audrey’s on Facebook, follow the shop on Instagram and Twitter to see upcoming special events or call 602-281-6055. 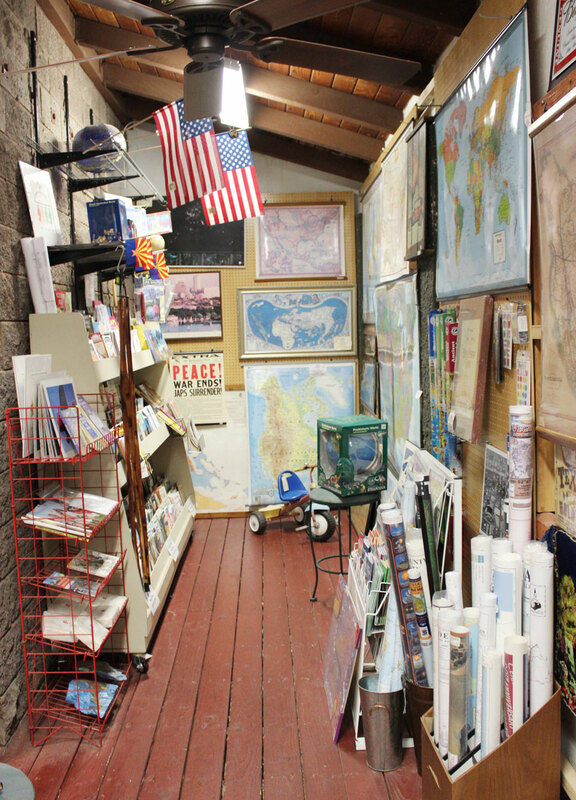 The shop is open Monday to Saturday from 10 a.m. to 5 p.m.
Having two shops in the same center is all in the family for Lenny and Nanci Cowles. Together, the couple owns AZ Man Cave and Everything Goes. 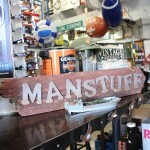 AZ Man Cave’s staff has over 10 years’ experience in the antique/resale market and are always willing to help customers. The store honors all veteran and current military, police officers and fireman with a 10% discount. 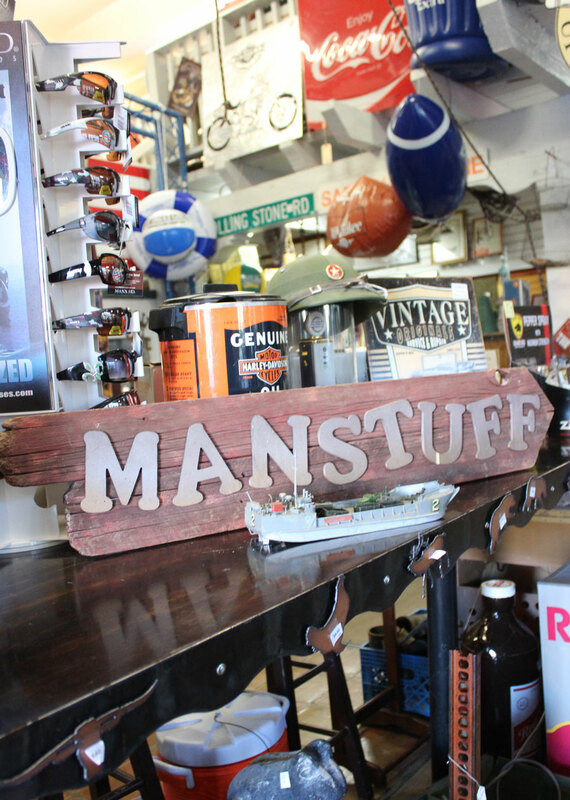 Also specializing in vintage collections for men and women, the store is open Tuesday to Saturday, from 10 a.m. to 5 p.m. and Sunday, 11 a.m. to 5 p.m. 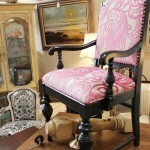 They are open on Mondays for the winter months and on holiday Mondays. For more information, call 602-997-1381, email lennyco@cox.net, or visit AZ Cave Man on Facebook. 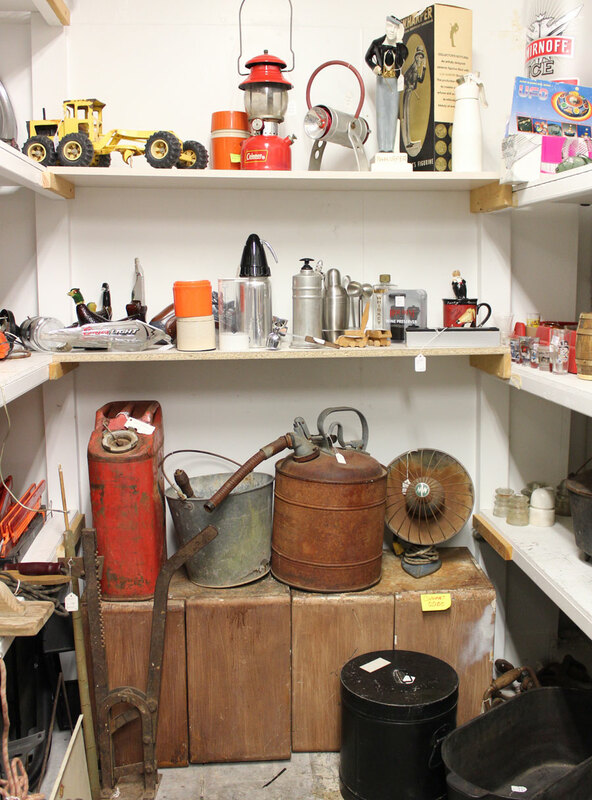 With over 4,000 square feet of shopping space, Everything Goes offers home furnishings, antiques, collectibles, garden furniture/décor, jewelry, one-of-a-kinds and hard-to-find items. 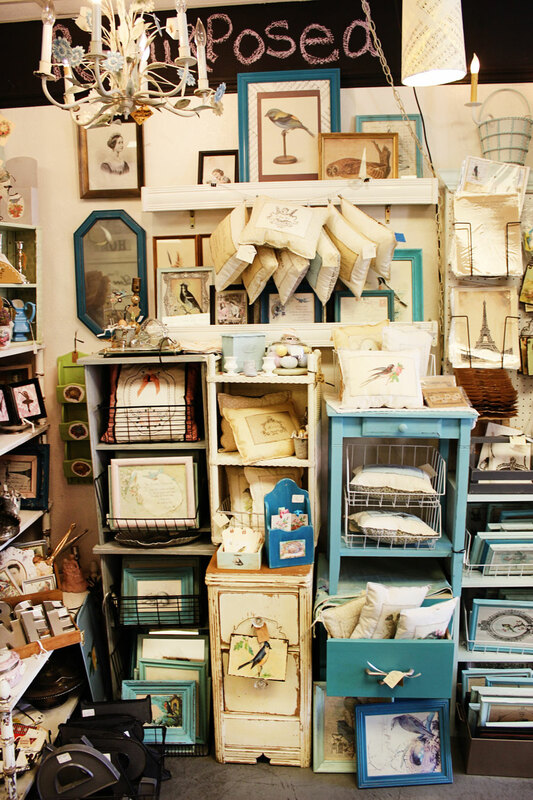 The store has over 40 vendors with their own styles making Everything Goes unique. Everything Goes has a great following on Instagram and Facebook and posts almost daily. Also, to learn more visit www.everythinggoesaz.com, call 602-331-3383 or email lennyco@cox.net. 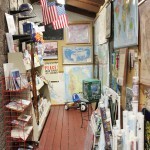 The store is open seven days a week from 10 a.m. to 6 p.m., Monday to Saturday, and from 11 a.m. to 6 p.m. on Sunday. 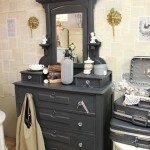 Sweet Repeats Boutique is a quaint Paris-themed shabby chic vintage style furniture and home décor store. 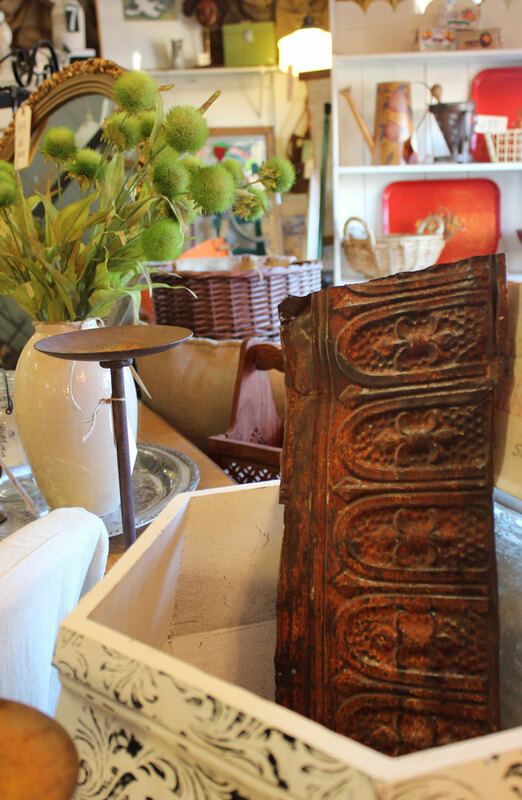 Its 37 vendors offer an array of items including: shabby chic, French, vintage, western, southwest, primitive, country, Americana, Chippy, Rusty, Industrial—and the list goes on. 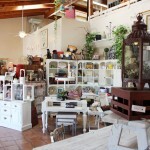 Shoppers will find many unique treasures at amazing prices and the staff is friendly and helpful. 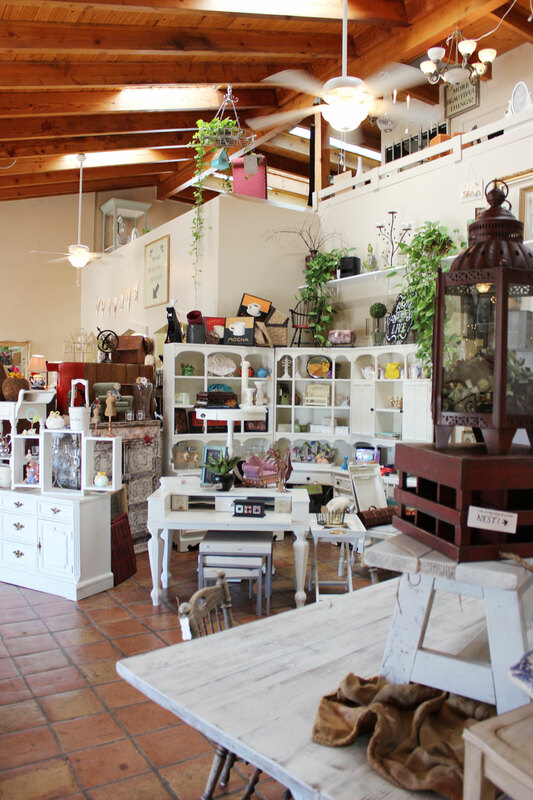 The Hudgens have lots of help from family members in the Boutique allowing Denise, a native Phoenician, to have the family owned and operated vintage store that she had wanted since she was a little girl. 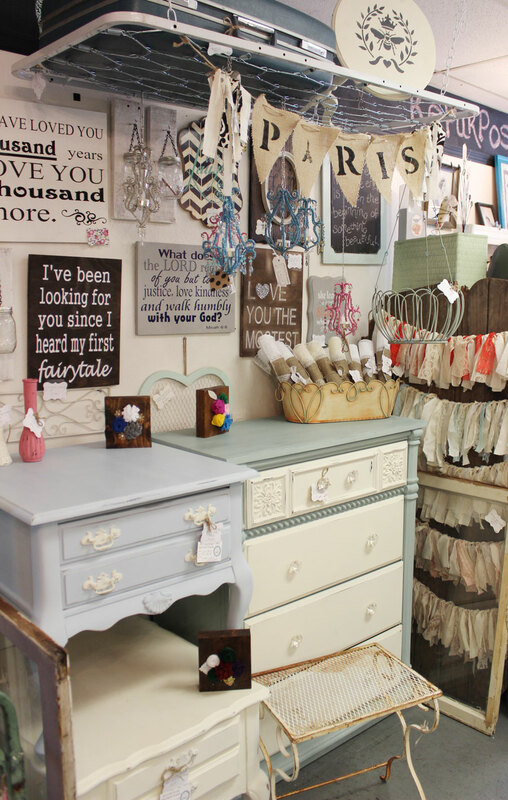 The next goal is to open another Sweet Repeats Boutique in Northern Arizona, although their ideal location is still waiting to be found. For more information, call 602-396-2680, email azsweetrepeats@yahoo.com, visit azsweetrepeatsboutique on Facebook or azsweetrepeats on Instagram. Sweet Repeats Boutique is open Tuesday to Saturday from 10 a.m. to 5 p.m. and on Sunday from Noon to 5 p.m.
Beautiful things for you, your home and your garden can be found at Tattered Nest Vintage Marketplace with some of the best designers in the business providing unique finds in Urban Farmhouse, Cottage Style, Vintage, Shabby Chic, and Rustic Luxe. When you walk in the doors, you are drawn in by a beautiful water fountain that sets the background for your journey with beautiful furniture and artfully displayed vignettes that change constantly. The pricing is amazing and shoppers find they are able to get more than they expected yet stay within their budget! 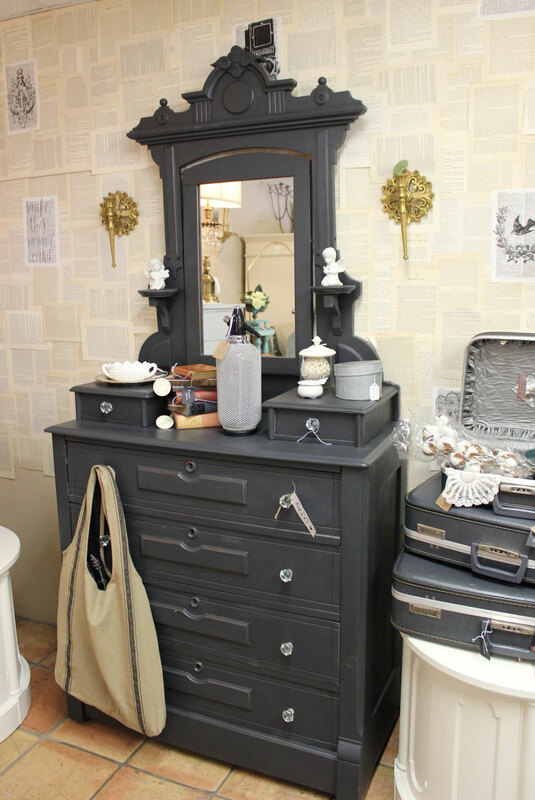 Tattered Nest carries an extensive line of General Finishes Milk Paint, Gel Stains, Glazes and Finishes and a Frequent Buyer Card is offered. Once the card is full, shoppers get a pint of their choice for free. Products not in stock can be custom ordered. 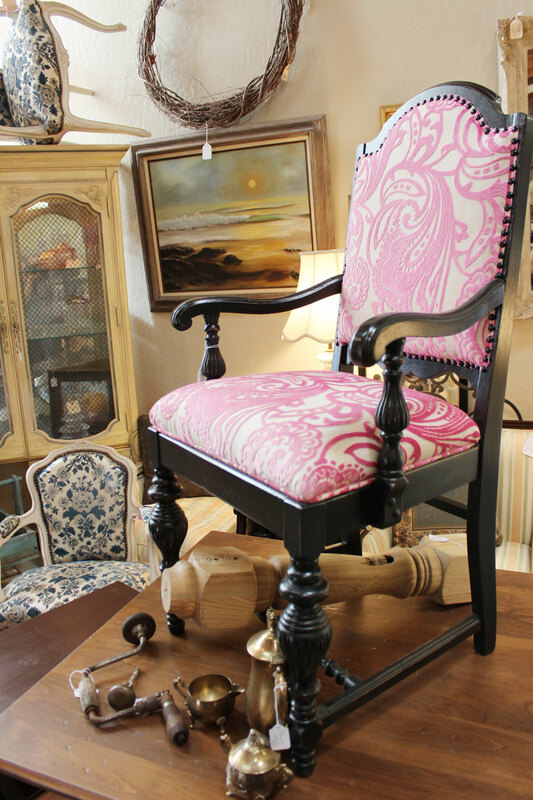 Custom slipcovers and upholstery work is available for customers who already have the perfect piece of furniture but it just needs a little updating. 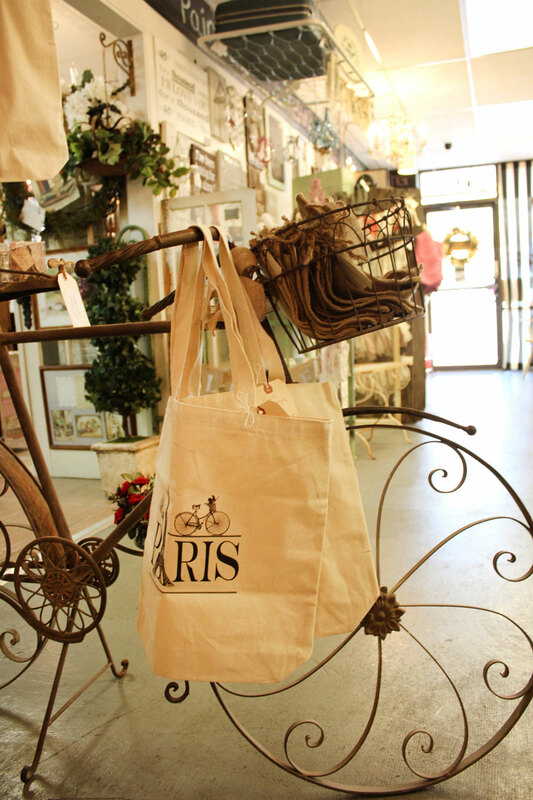 The shop’s owners are Mercedes Person, Duane and Karen Baker, and Stephanie Olness. 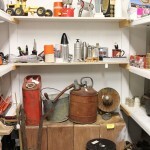 Their goal is to get better and better so their shopping guests continue to find products they cannot leave behind. 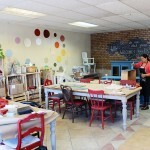 Plans include expanding class sizes as well as providing decorator/design services. 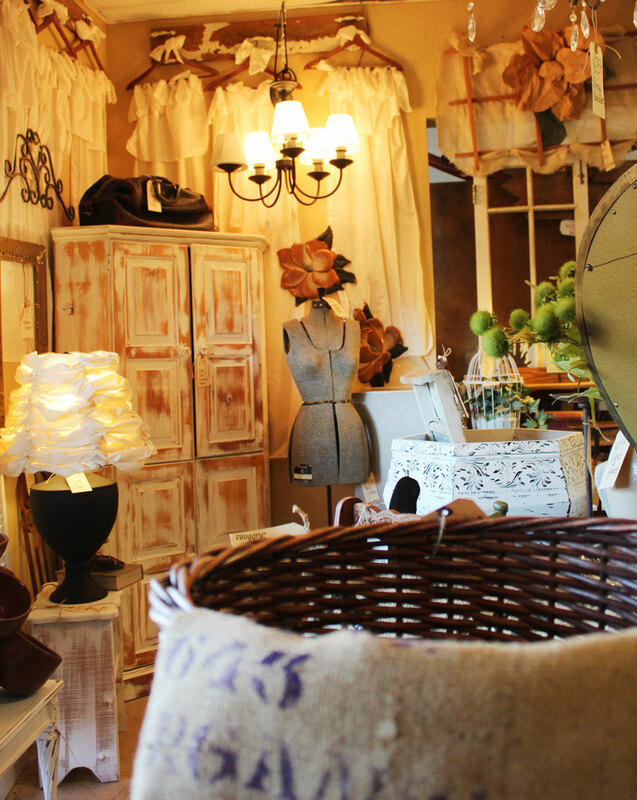 Tattered Nest Vintage Marketplace is open on Wednesday from 9 a.m. to 9 p.m. and Thursday to Sunday, from 10 a.m. to 5 p.m. You can check out their classes and upcoming special events on Facebook. The class size is limited and sells out every month so register in advance. To learn more, call 602-466-3172 or email mercedesperson@cox.net. 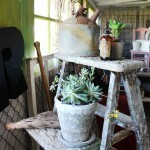 Audrey’s new workshop space next to the shop on Cave Creek Rd. 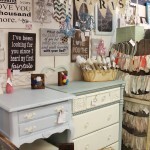 Audrey’s has Annie Sloan’s Chalk Paint available! 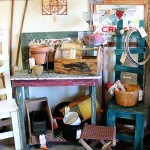 Ready for spring at Everything Goes! 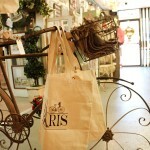 A bit of Paris inspiration at Sweet Repeats! Sweet Repeats on Cave Creek Rd. Tattered Nest on Cave Creek Rd.